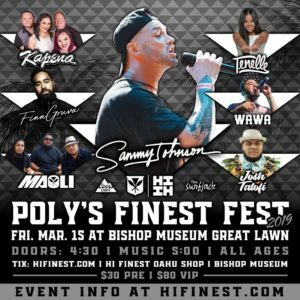 When some of the biggest names in the Reggae genre announce a tour in Hawai’i, the locals take notice. 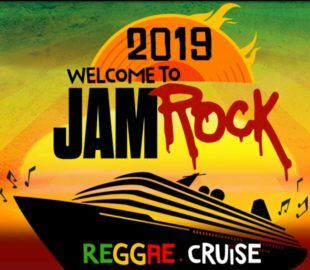 Arguably one of the biggest bands in international reggae and one of the flagship bands in American Reggae-Rock will be touring throughout Hawai’i in December. Rebelution, a California band that got their start in Santa Barbara, in the quaint college town of Isla Vista, playing local house parties, Rebelution has since grown into a band that now routinely fills some of the largest outdoor amphitheaters in the United States. One venue that Rebelution has yet to perform at is the iconic Waikiki Shell in Honolulu, Hawai’i. However, the band will soon check another prestigious outdoor amphitheater off of their bucket list. 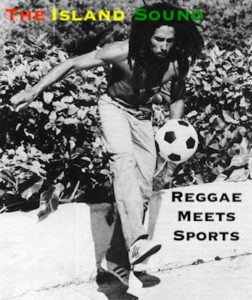 On December 16th, Rebelution will perform on the same stage that Bob Marley and The Wailers performed at over 35 years ago. 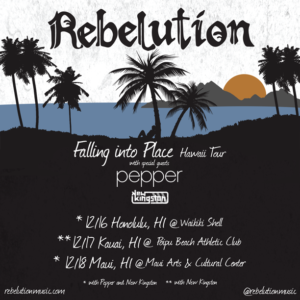 Joining Rebelution will be Reggae-Rock veterans, Pepper, who actually call the Big Island of Hawai’i home, as well as, New Kingston one of the premiere rising acts in the American Reggae movement. The trio of American based bands will perform three straight nights throughout the Hawaiian islands, beginning on December 16th on O’ahu, December 17th on Kauai and December 18th on Maui at the Maui Arts and Cultural Center. Tickets for the O’ahu show at Waikiki Shell are currently available starting at $39.50 and VIP seats for $79.50. 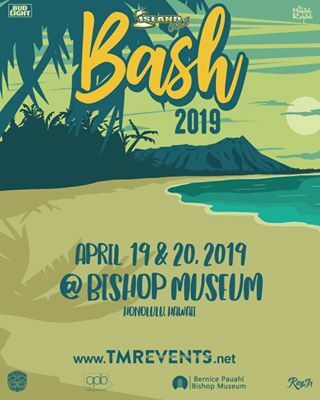 Tickets for both Kauai and Maui are sold as General Admission passes, starting at $39.50. For Rebelution fans on Guam, wondering when the California Roots-Rock-Reggae band will come to their island, a show has been announced. Rebelution will perform at Governor Joseph Flores Park on December 19th on Guam. For more information on Rebelution and all upcoming tour dates, follow the links below.